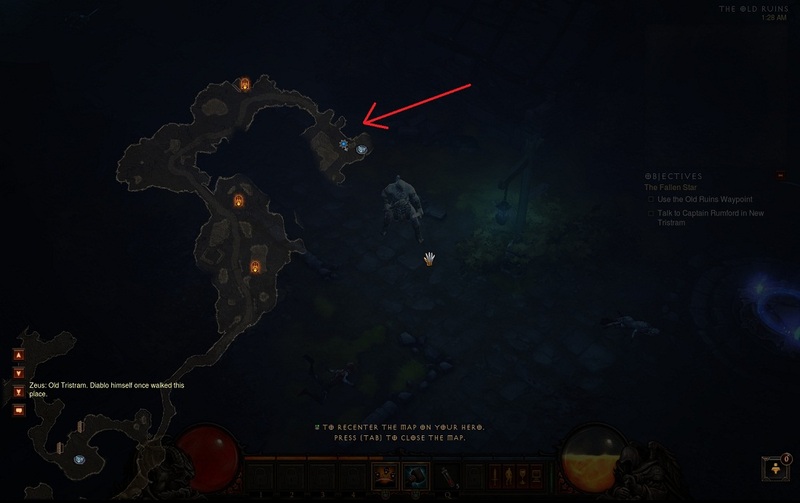 If you wonder where is the Wretched Queen in Diablo 3 Act 1, know that she can be found in the Old Ruins (the town of Tristram from Diablo 1). You can find the ruins very easily, you just need to follow the Old Tristram Road and fight your way through. On your way to the ruins and the Wretched Queen, which by the way is a rare monster, you can complete the optional objective of the quest, by slaying three Wretched Mothers, you can find them along Old Tristram Road. Once you've reached the Old Ruins and slayed the Wretched Queen you might get nostalgic if you played Diablo 1 and Diablo 2 in the past, because the place looks very familiar. You can even see the cage Deckard Cain was kept prisoner in Diablo 2. In the pictures you can see the map with the location of the Wretched Queen. I hope you found the Wretched Queen and the Wretched Mothers with ease. 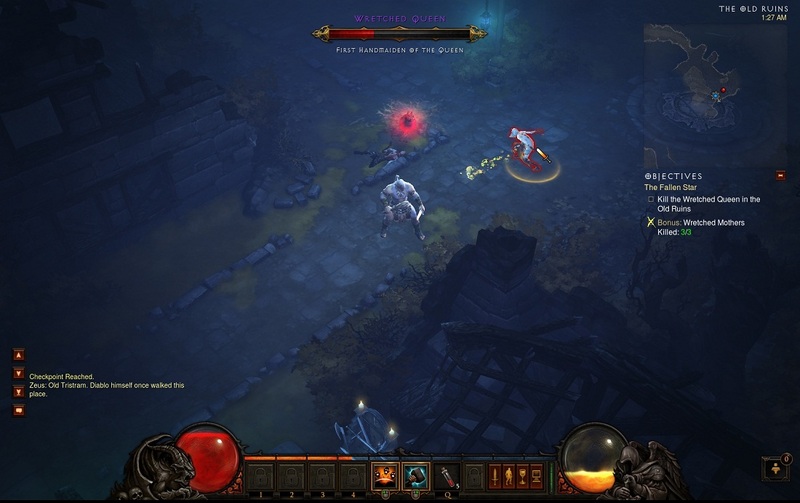 After this you just need to use the waypoint to get back to New Tristram.